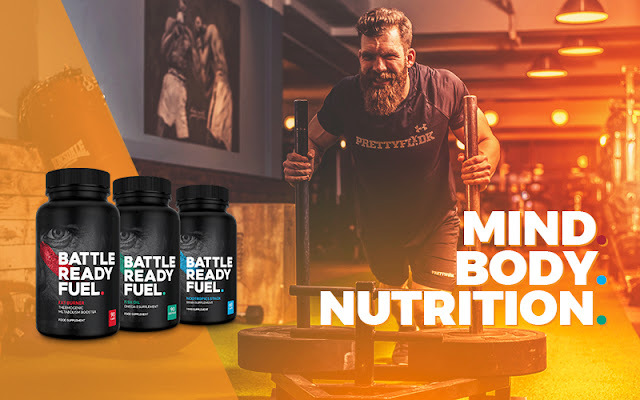 Battle ready fuel or BRF is a premium supplement manufacturer company which manufactures a wide range of health care and body nutrition supplements. Comes with the idea of Mind, Body, and Nutrition, BRF supplements guarantees the performance beyond limitations. Designed by ex SAS members, these supplements are made for those peoples who dare to work harder in any situation, peoples who never compromise, who never back down and they are eager to achieve their goals. Team BRF believe that in order to attain any target of life, your mind, body, and nutrition should be on the same point and that’s the purpose of these supplements. Four categories of BRF supplements? BRF supplements fall into four main categories, ones which are meant to boost your performance during the workout and sports, you will be able to perform better and longer with enhanced energy levels. Second ones are strength & power supplements which are specifically designed for building muscles and mass. Third ones are diet & weight loss supplements which are very powerful and results-oriented weight loss products. Ultimate mind are the fourth ones in the range and it empowers your brain so that you are able to do your tasks without shattering your focus. Who can use BRF supplements? As I mentioned above that BRF products are divided into four main categories and every person can pick up his products according to his desired goals. For example, if you are a sportsman and unable to perform better in the field and lose your energy earlier then you should go for performance enhancers supplements. What it will do is that it will boost up your stamina and give you more energy to perform better. If you do running or do swimming, then you will not hesitate to run faster, swim faster and there will be less tiredness and fatigue in the field. If you are an office going person or a working mom and unable to concentrate on your daily matters and your mind is shattered and stressed due to work overload then your choice should be ultimate mind supplements. Because ultimate mind supplements will make your brain stronger, enhance your decision making power and it will make you to manage your routine tasks in a better way and you will be able to focus better. If you are worried from your increased weight and tried everything to lose your extra weight and looking for a product which can guarantee weight loss without ordinary claims then you must try diet & weight loss supplements because they are not an ordinary weight loss products. No matter if you are a man or a woman, young or old, this product is equally suitable for all age’s group. Made with the latest formulation according to the needs of the modern time, diet and weight loss supplements is good to go choice for you. It will help you to shed extra pounds without doing any extra hard work. For bodybuilders and gym goers, there is strength & power supplements, muscular mass increases while you do bodybuilding and weight lifting and you need an extra source of protein for supporting and strengthening of muscles. Flooded with high-quality amino acids, BRF strength & power supplements will just be the right choice for you. Because it will boost up your performance, increase muscles growth and mass. It is also very helpful in curing muscular issues like fatigue, soreness, and inflammation. “Shop by goal” feature is a perfect feature on their website, because when you go to the BRF website you just need to click on this button and you can browse through all of their products range and chose your desired products. In order to meet their claims of utmost strength, motivation and making you battle ready, the company has chosen the premium quality ingredients for all of their products. All the ingredients are extracted from the pure sources, which makes sure that you get 100% from battle-ready fuel. Branched-chain amino acids BCCA has a very fine amount of leucine, isoleucine, and valine in a 4:1:1 ratio for intra-workouts, this way you get 5g of BCCAs in every serving, most of the famous BCCAs have the ratio of 2:1:1. Comes with the delicious flavor of “cherry burst” BCCA is special for boosting muscular mass Read further about it here. CREATINE, monohydrate powder, well researched and pure creatine boosts up your performance and it is very easy to mix. Also, it is 100% vegan-friendly and best for short-term, high-intensity exercises like sprinting, swimming and lifting. Read further about it here. Our body needs a continuous supply of nutrients to function at maximum, if some nutrients get missed then it can lead to various disorders in the body. Although we get most of our nutrients from the routine diet, but that’s not enough, a regular supply of all the essential nutrients is very crucial for the body to perform at optimum level especially if you are a sports person, that’s where MULTIVITAMIN steps in. Enriched with more than 12 vitamins and 13 minerals, BRF has made MULTIVITAMIN a good to go product. It energizes you by detoxifying your body, keeping the brain refreshed, strengthen your immune system and keeping you stress-free even at the cellular level. Read further about it here. Pre-workout Fat Burner is another exceptional product from BRF. Enriched with Capsimax, Capsicum Annum L. and Piperine, this pre-workout fat burner is a key to burn fat by boosting metabolic rate and burning more calories during the workout and fine tunes your muscles. Read further about it here. VEGAN PROTEIN (900G) is a plant-based protein powder, is a perfect protein powder for vegetarians. Gives similar results as an animal-based protein powder, it is also very popular in non-vegetarians as well because of its delicious taste and other unique properties. It is easy to digest, mixes well and friendly for the stomach. You get 25.5g of protein per serving. Key ingredients in Vegan Protein are Inulin, Digezyme, and Bioperine. Read further about it here. Comprised of pure protein, high in amino acids and low in lactose, WHEY PROTEIN (900G) is best for accelerating muscles growth and mass. It is available in chocolate flavor and low in sugar, carbs, and fats. This 90% whey protein isolate provides you 28g of protein per serving. Whey Protein (900G) is the right choice for bodybuilders and makes them battle ready. Read further about it here. FAT BURNER from BRF is composed entirely of all natural ingredients including Citrus Aurantium, Garcinia Cambogia extract, and Guarana extract. This fat burner acts as a thermogenic metabolism booster, means it burns more calories with faster metabolic rate, It let you work harder so that you lose more fat, it suppress your appetite and reduces food cravings. Read further about it here. To attain the goals of ultimate fitness and to build the body you always wanted, you need to work harder and consistently. Even in general life, you can’t achieve any milestone without a focused mind, motivation and consistency. MIND BUNDLE is a supplement combo pack which boost your brainpower and keeps you motivated for your targets. Mind bundle consists of NOOTROPICS STACK, SLEEP AID, MULTIVITAMINS and FISH OIL, each of these products have their unique functions which ultimately aids brain power and enhance mental focus. I have described each of these products in details which you can check here on my website. 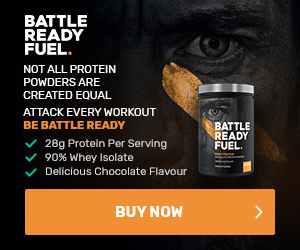 BRF is different in a sense that it is created by ex-SAS professionals who have tried to make their supplements with maximum potential and they call their supplements elite, because their supplements are not ordinary, take the example of whey protein, BRF whey protein contains up to 90% of pure protein while most of the famous companies produce whey protein with 80% pure protein. Moreover, battle ready fuel not only emphasize on body, but they believe that in order to be battle ready your mind, body, and nutrition all should be on the same page, because when you do exercise & workouts with focus and motivation then it will have a double impact on you, so, this way battle ready fuel takes your performance beyond the limitations. BRF has made its all of products available at market competitive rates, so you don’t have to pay much to get their elite supplements. Moreover, they have categorized their supplements into bundles, so that you can get “all in one” package with discount rates. Performance bundle, for example, contains Pre-workout, BCAA (Intra-workouts), Creatine, Multivitamin, and Fish oil, if you are a bodybuilder and looking to enhance your performance then you must choose performance bundle for all of your needs, this way you can get amazing discount offers. If you purchase performance supplements separately then it will cost you about $254.95 in total while if you purchase the complete performance bundle, then it will cost you only $175.99. So this way you can save almost $100. Similar kind of packages are available on their Diet & weight loss supplements, strength and power supplements and on ultimate mind supplements.